I’ve just put a bit of new kit together for my daughter who turns 4 years old next month…. she’s as keen as mustard. 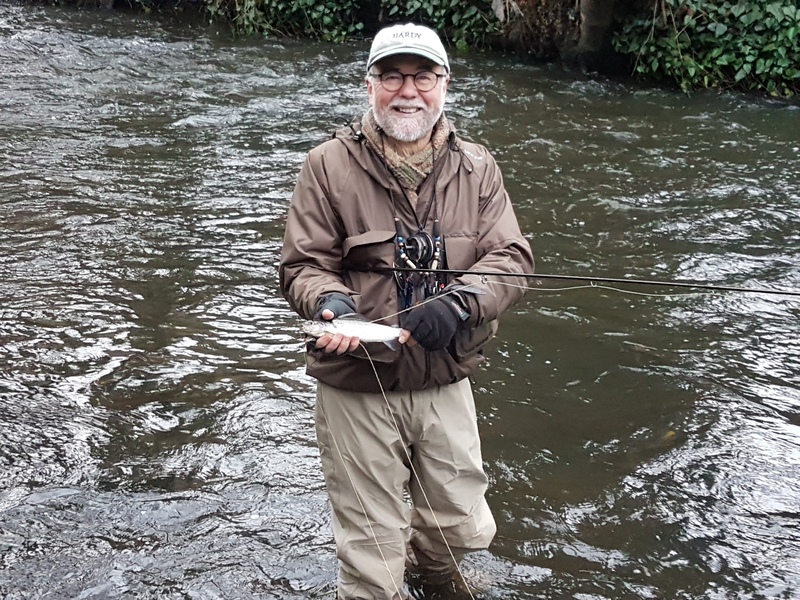 We’re lucky to have lots of small streams that are stacked with trout in Greater Manchester which I have no doubts will produce the goods once the new season starts in March. 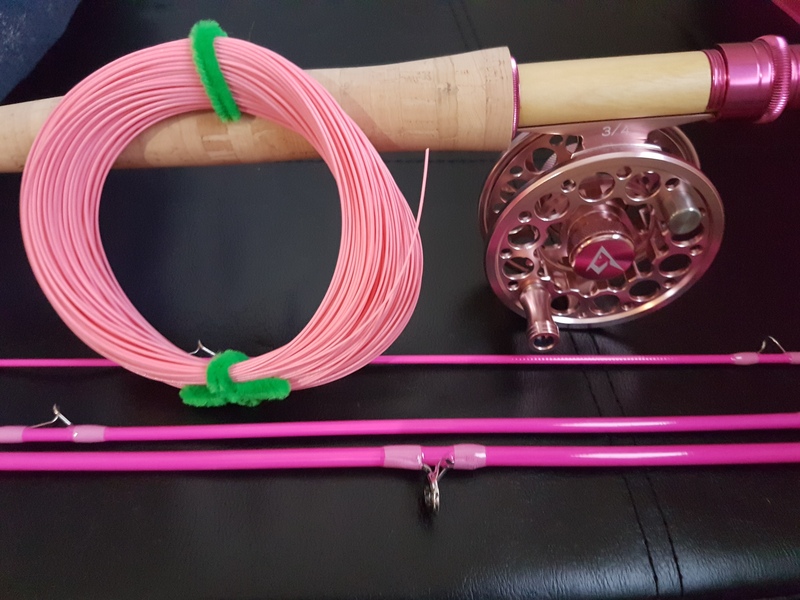 Now I need to tie up some pink flies to match the rod, reel and line combo. Any suggestions on patterns that suit hot shocking pink ? 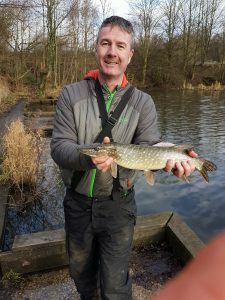 I’ve been out today on my fishing clubs annual Christmas Pike Social. 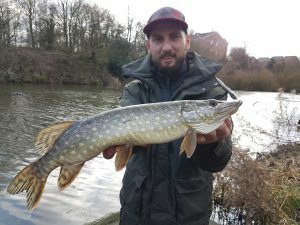 Always good fun on the Old River Irwell (a still water created by the construction of the Manchester Ship Canal) in Irlam, which has a tremendous head of small to medium size pike max upper doubles. I was a late arrival at 8am just as it was getting light. 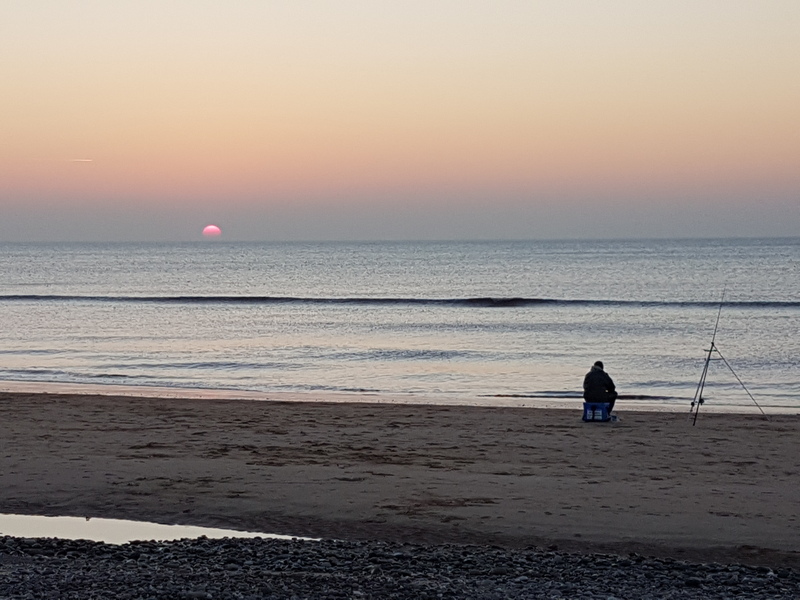 Others had been on since 7am but as yet no one caught any fish…. which was unusual as in previous years the most productive times had been the hour before and after dawn. Here is is…. believe it or not…. the same fish….. firstly held by my pal Karol…. who pushed it out towards the camera lens and then by me held in towards my body. A startling difference – and as you can see from the second more honest photo – not really much of a Pike at all. Its been a while since I’ve written anything about Barbel Fishing on my local River Irwell. 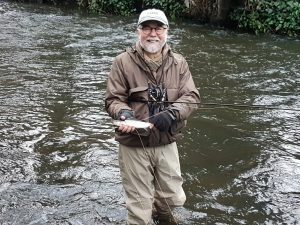 Which is very remiss of me really, as being a local angling club committee member I have been very much involved in recent re-stockings of the river with fish. And then came the rains….. the river is pretty unfishable at anything over 1.20m on the guage…. and since these fish were stocked on Wednesday the weather in Manchester has lived up to its reputation – with the river rising, coloured, full of debris and unfishable. I had a short window of opportunity (wife off work to look after the kids etc) which finished today – as they are now both off school/nursery – and the missus back in work all through the Xmas and New Year holidays…. So its unlikely that I will be able to avail myself of this golden opportunity – and the weather forecast is much improved next week. I tried yesterday morning for an hour – but the flow was too strong for my rigs, and my line was clogging up with bits of bog roll etc (Irwell Snowflakes). 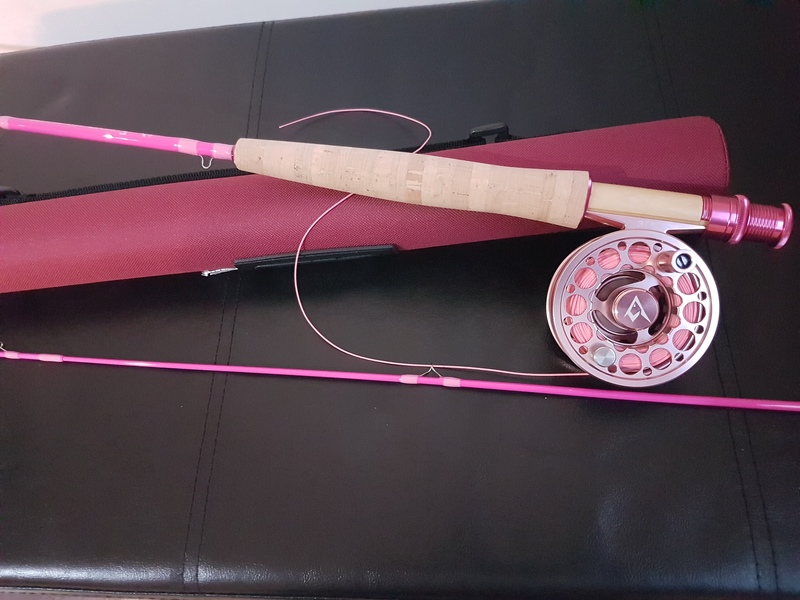 Lets see if I can sneak out for a fish ……….. even if its after dark – I am determined to bank my first Irwell Barbel after years and years of trying. 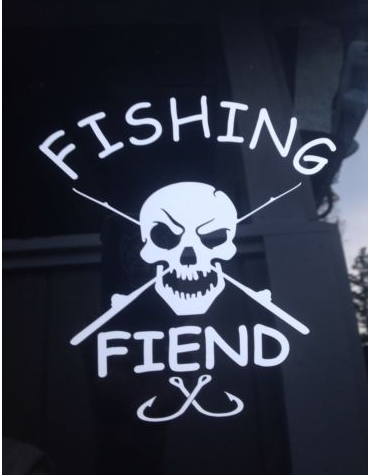 It would be great if I could luck out and catch one of the bigger established resident fish…. but I have no shame … Once a stockie basher…. always a………. Look at these lovely flecks of gold….. like brush strokes from a classical artists palette. I will never tire of being surprised by the beauty of fish…. each one a unique Faberge Egg, a priceless gift from nature. 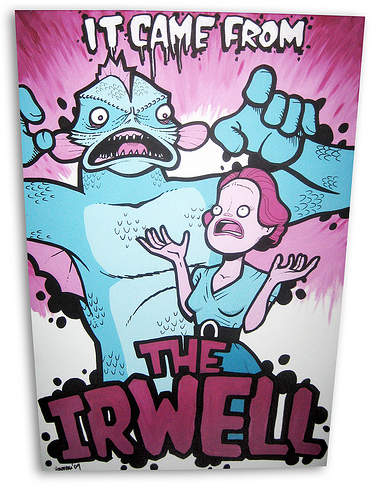 I was having a trawl through some old photos – and thought that this deserved sharing again. A Pike from the Old River Irwell in Irlam – caught on a sunny winters day. Isn’t it amazing how these golden flecks reflect the sun. Does this golden colouration serve any purpose I wonder, or is it nature showing off? 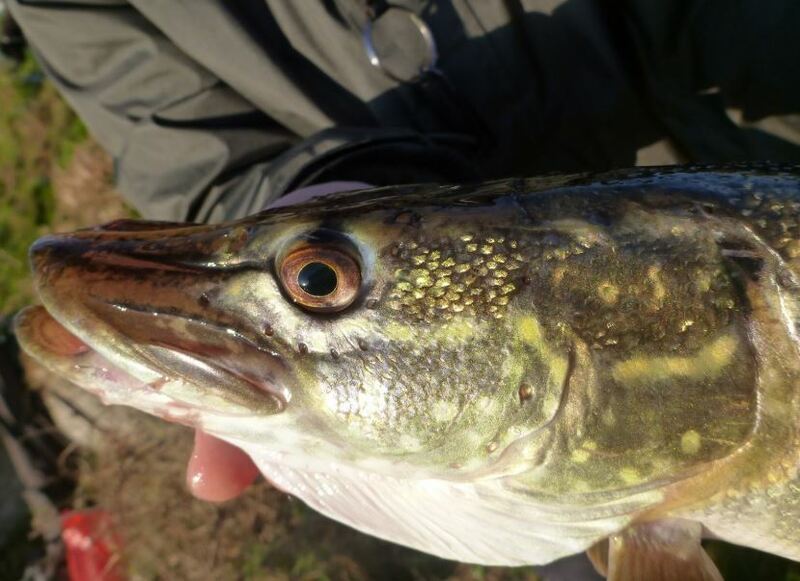 Next time you catch old Esox,, take a close look and be amazed. Agecroft Pond is a bit of an enigma – it screams fish but it contains very few. The local angling club stocked 200 8″ carp in 2016, and as yet no one has ever caught one. I’ve fished this lake a handful of times, and never had much success other than a few small roach and the odd jack pike. So last weekend, I thought I would give the lake a couple of hours of my attention, and because I wasn’t expecting much in the way of sport, invited two friends to join me for a fish and a chat. 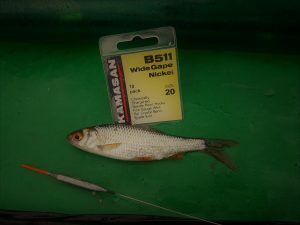 I set up using the exact same rig that I’d used on recent successful roach sessions on other local ponds – a very light 0.3g pole float, a size 20 Kamasan B511, and a 0.08mm hook length. 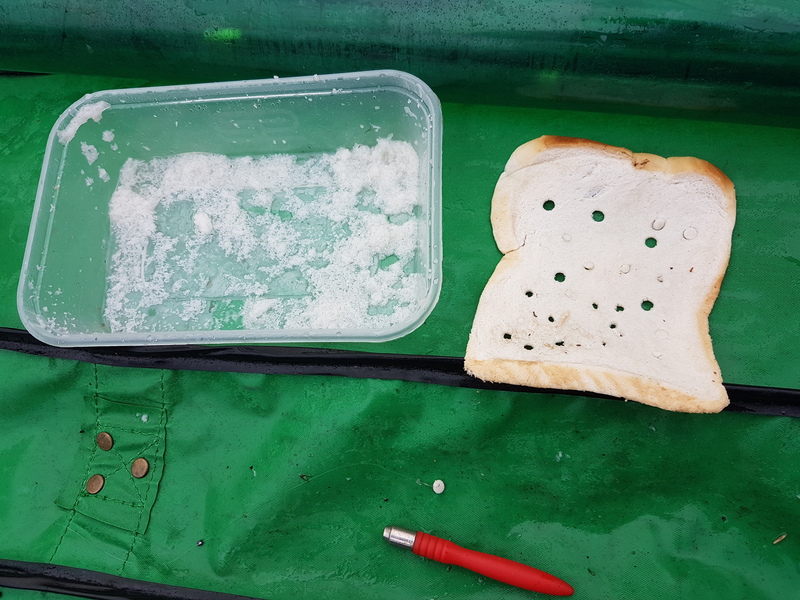 Again bait was punch bread on the hook, and liquidised bread (a very small amount) as feed. But as it was a cold day I used my pole at 13m to access the deepest water in the lake (6 feet) where I expected the fish to be lying up. I’ve become used to my float sailing away immediately, but on this lake it was ages before I caught anything and with afternoon daylight being short at this time of the year, it was soon time to think about returning home. To satisfy a theory about the pond I saved the 3 roach i caught in a bucket, and at the end of the afternoon set up a pike rod, and used the roach as bait.. It took less than 5 minutes before my old fashioned pike bung did the old fashioned thing……….. it slipped away – and a nice little jack graced my net. In 3 casts…. I caught 3 jacks from different pegs……. good luck? It made me think about a few things….. where had the carp gone ? why was it so hard to catch small silver fish? was the lake over populated with pike? or have all their prey been eaten by the black death? Word on the street is that the angling club are currently looking at a significant restocking with roach, rudd, bream, tench and crucians and carp…. lets hope this brings the place back to life. I have a self imposed two hour rule when I got out pleasure fishing. Very simply if I don’t get a bite within two hours – I move swim or move venue. I’m out fishing for fun and whilst being outdoors and on the bank is important — so is catching a few fish. This weekend I had a few hours free before my day was taken over by the kids. So I thought that an hour or two/three on one of my local lakes would be an ideal way to spend a few hours on Sunday morning. I’d taken my daughter fishing here earlier this summer and bagged up on roach and rudd using maggot waggler techniques. For this trip I wanted to brush up on my bread punch tactics, and was hoping that the roach would be obliging again. I set up at 8.30 and potted in liquidised bread on two lines, 6 and 11 metres. Starting on the short line for the first half hour, I couldn’t buy a bite, despite trying all sorts of variations in depth and shotting patterns. So out to the 11 metre line – expecting a bite first put in seeing as though the fish had been given time to settle in on the bait, and had not been disturbed by the activity on the inside line. You guessed it – not a touch. I spent the first half an hour on the inside line, an hour on the long line, and then another half an hour back inside. Not a flicker of a bite. So – I’m quite strict with my two hour rule and was now left with three options. Move to another peg on the same lake. Move to another lake on the same complex (Rhodes Lodges in Middleton). Or move to a completely new venue. 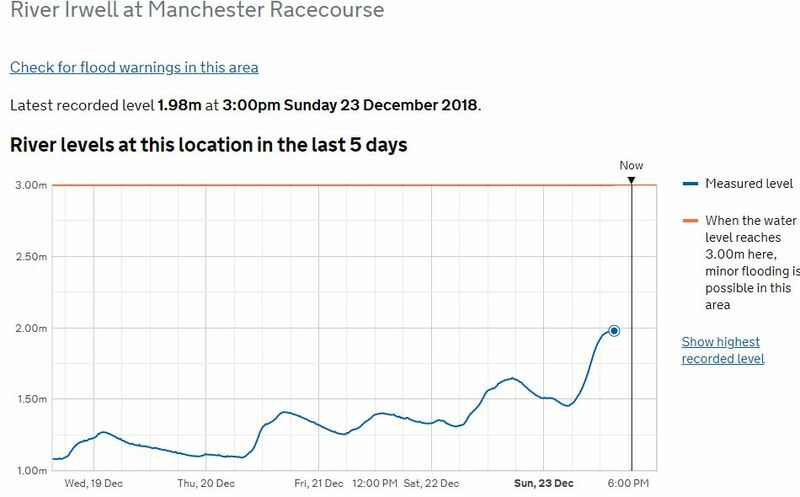 The fact that water levels were down on all the lakes on the complex after the long dry summer and autumn that we’ve experienced helped me make the decision to move venues. The lake that I was fishing is usually around 6ft deep – but water levels were over 2ft lower than normal – and maybe the fish had just holed up somewhere in a deeper hole. I wasn’t going to spend the time finding this hole,,,, so a move to another venue was the best option. Sainsburys Pond in Middleton has always been a banker venue for a few roach…. so that’s where I headed. Only a short drive away, I was back fishing using the exact same tactics within 20 minutes. As I was only had an hour left I fed only 1 line. Again the water levels were down by nearly – so using a bit of local knowledge I set up in what I know is the deepest swim in the lake – however this was only 4ft !! (I am worried that these venues might really suffer if we have a long cold winter, and extended ice cover on our lakes). A small nugget of sloppy liquidised bread, a small size 20 B511 hook, 0.08mm hooklength, a map 4×14 pencil float, 4 no 8 stotz as bulk with a single 10 stotz as dropper and I was away. First put in, the float didn’t event settle before it slipped away and I was into my first small roach. I didn’t catch anything over 4oz but had a brisk hours fishing catching plenty of small roach and rudd before I reluctantly packed up. The fish were hungry, and if didn’t keep the bread feed going in, the bites soon died off. As you can see from the photo above they ate all the feed I had. I’m hoping to have a canal session this week – again on the punch bread/sloppy feed..
“I’ve run Wickenhall bottom lake in Newhey for around 8 years now. It was a chance remark by one of the regular anglers about fishing the river Irwell in Manchester. loads of roach, most of them between 6 ounces and a pound he said, and on some days we get maybe 8 or nine chub up to 3lb or so, we’ve even had a couple of bream too. 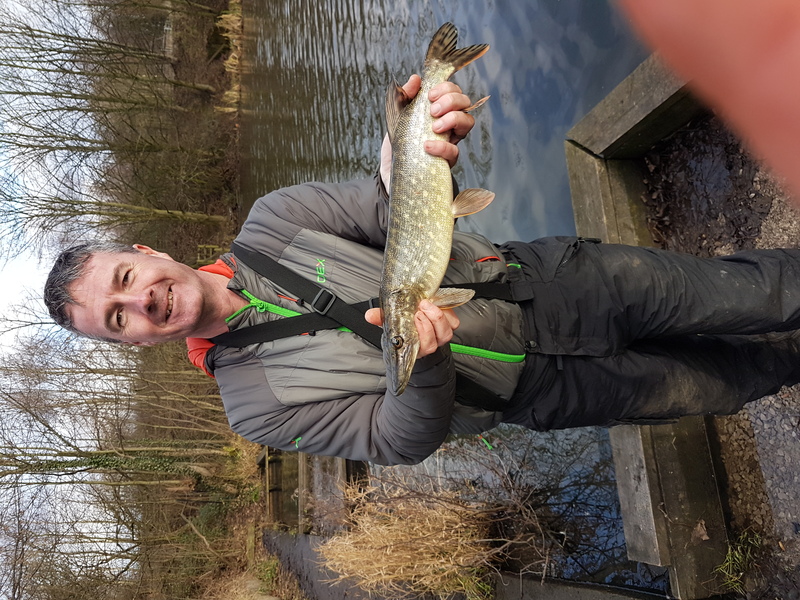 After probing the said angler on areas to fish, he said ,”don’t go on your own cos it can be a bit rough, and swims are hard to find but worth the effort if you find the roach shoals”. a couple of months later and after talking my daughter into a pre Xmas shopping trip, (on the condition that we have an hour looking at the river for possible access points, I was stood high over the Irwell on the impressive Trinity bridge, fish were regularly topping a few hundred yards upstream, nothing massive, but definitely fish. Anyway plans were made for me and Pete Healy, to go and have a go the following Sunday. We arrived 30mins or so before first light. Fish were topping everywhere. We both started on maggot feeder. My first bite came before I put the rod down, a perfect roach of 10 ounces. 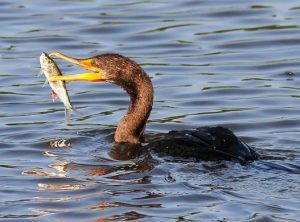 I turned to tell Pete, who was fifty feet further upstream, only to find him with a similar fish in the landing net. The next few hours were ridiculous. Fish after fish came to the double maggot baits. In fact at one stage we both stopped fishing for half an hour to have a brew and a butty. Without going through every session we had in a period of 4 years, I’ll just say that the place was incredible. On numerous occasions, Pete, my daughter Abbie (9 to 13 years old at the time)on many, and I mean many days had at least 50 or sixty pounds of roach, chub, perch and dace. we only ever saw another four or five lads fishing over all that time and all of us kept it pretty quiet. Stickfloat was probably the best method with maggot, caster and hemp. But we caught on big baits like bread and meat too. You’ll have noticed by now a lot of this article is written in the past tense. These glory days of the Irwell have now sadly passed. 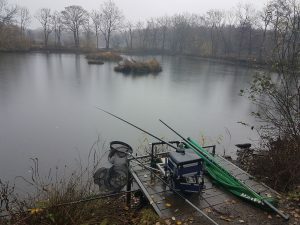 After speaking to one of the regulars last year and finding out the fishing had gone downhill we decided to have a couple of sessions in the old swims,(we hadn’t been down for over 10 months). I can tell you it was a total waste of time, conditions were spot on for trotting, the water was perfect, but not a single bite in four trips. 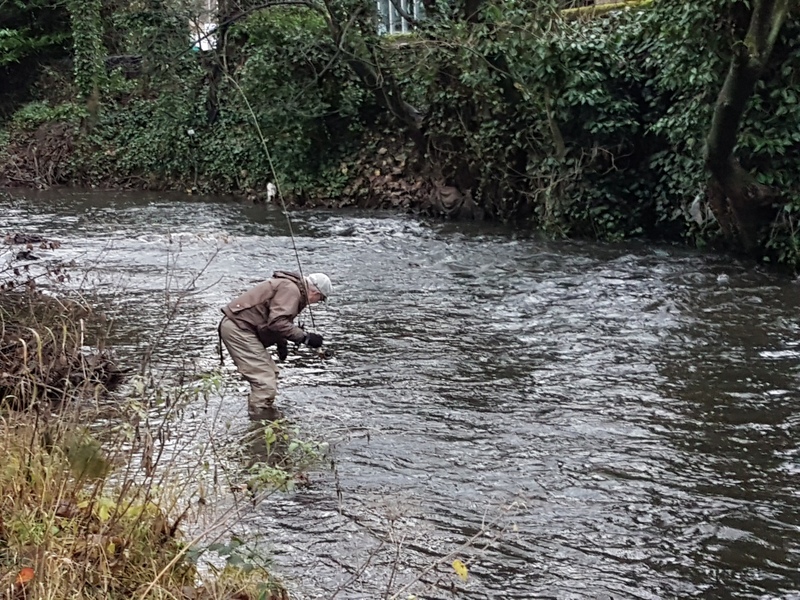 now it’s quite normal for shoals of silver fish to hold up all winter in city centre rivers. whether it’s the lights or maybe due to it being a tad warmer I don’t know, but it happens in lots of rivers in the UK. It’s also normal for fish to suddenly not be there one year for apparently no reason, quite often though they won’t be that far away. So with that in mind we took my small rowing boat (normally used for piking) to have a look around with a fish finder. We did find fish quarter of a mile downstream in a couple of places and caught some on trotted maggot from the boat. These were mainly roach but we only had about six each. In the last two years of fishing we saw a huge increase in the numbers of these birds, starting with one or two at first and then going up to dozens in the end. We saw them many times taking big roach, chub and dace all day long on some days. It was heartbreaking to see and is the main reason we stopped fishing there. Previously unmarked, pristine fish, were now very badly marked indeed and the fishing dropped dramatically. 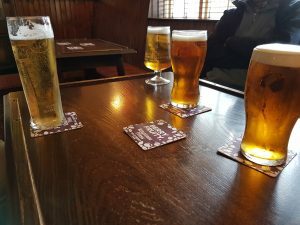 The reason I decided to submit this article was to let the lads in the Manchester area, who fished the Irwell now or in the past, know about the situation. 2008 between Xmas and new year we took the boat onto the Irwell. At this time of year, centre of town should be solid with fish….. we spent ALL DAY looking in every nook and cranny from M.E.N arena all the way to Salford quays. WE DID NOT SEE ANY FISH AT ALL IN MILES OF RIVER, OR ANY OF THE BASINS, ETC, THAT CAN’T BE ACCESSED FROM THE BANK. So what’s happened to all those beautiful fish? Pollution would have turned some up for all to see but no one has reported any. Maybe they migrated further than we looked, but I doubt it, I think the black death is back in the country……..only this time it can fly. 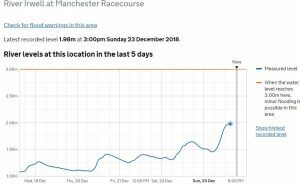 Coming to the end of 2018 now – its interesting to see how the Irwell has changed – the roach have all but disappeared despite regular restocking by the Environment Agnency. Pike — well they are still present throughout the river from Bury down to Manchester, with lots of small jacks but the occasional big girl to 20lb. Tench – I’ve never seen one from the Irwell. 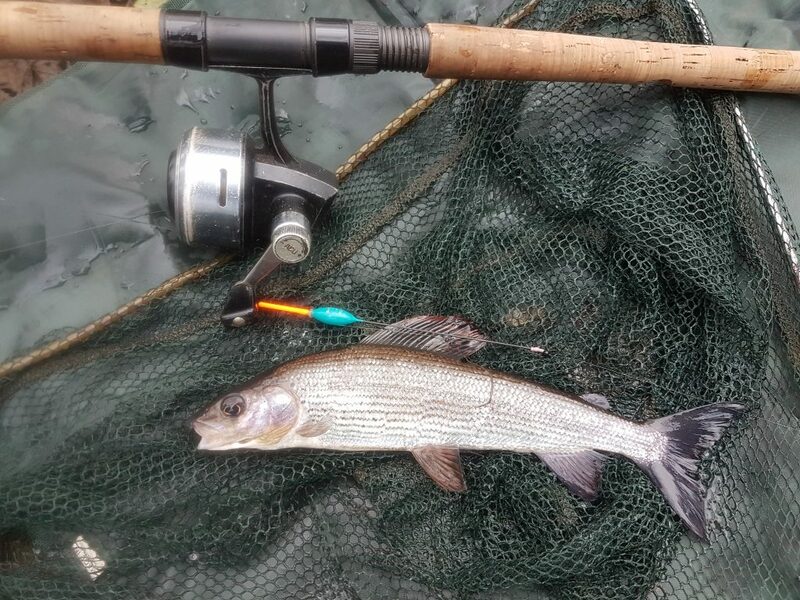 Grayling – a recent stocking by the EA of 3000 tiddlers but an odd fish to 12 inches being caught in the Bury area. Dace are present but not prolific. A smattering of Perch but they are not prolific. 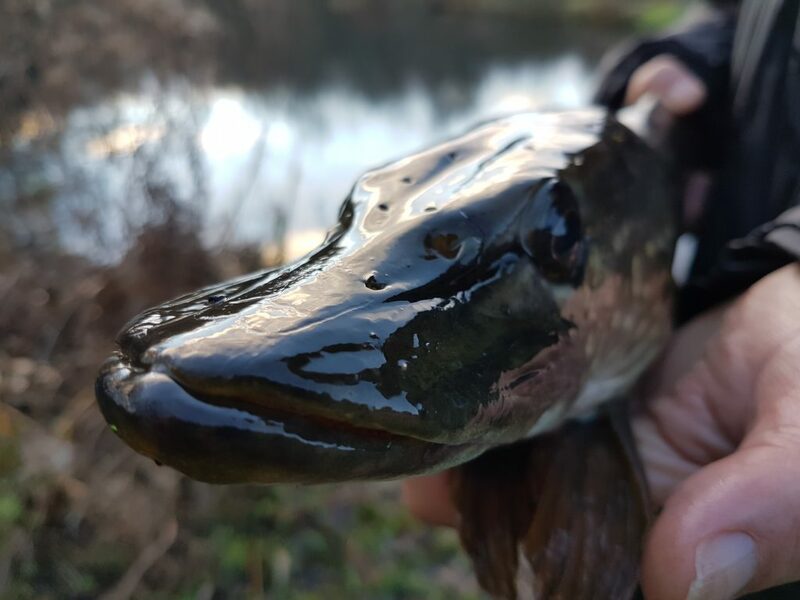 200 Barbel were stocked at the waters meet of the Irwell and Croal in the early 90s by Farnworth Anglers – and the odd fish has turned up between Bury and Manchester to 13lb – however these fish are as rare as hens teeth, and its a real achievement to catch the mythical Irwell Barbel. 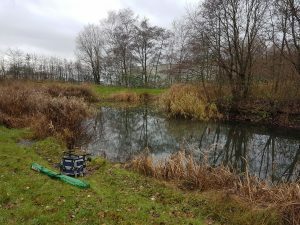 The EA stocked 500 fingerlings in 2014, and again with 500 slightly bigger fish in 2017 but they don’t appear to thrive in Irwell water are still the Holy Grail for Irwell anglers. As water quality improves – the fishing has without doubt declined from the halcyon days of the early late 90s and early 2000s. I too can remember catching 50lb+ nets of roach on hemp and maggot – but these events are now a thing of the past. Without doubt the birds, mink and frequent pollution incidents have decimated our river. I wonder what the future holds.. I arrived at the river yesterday afternoon with my pal Terry for a short session, to discover that I’d forgotten my usual trotting floats and only had a few pole floats in the boot of the car. Not ideal for trotting the river, but its not the first time that I’ve used a pole float for trotting on a river. When you have no other choice you have to adapt ! However -as you can see in the pics below – a 0.6 gram float wasn’t ideal for a fast pacy river that had a bit of extra colour in it from overnight rain. 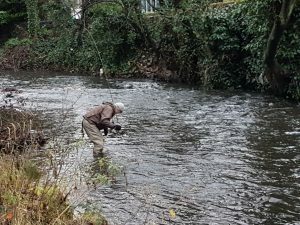 Terry chose his swim at the head of the pool – and fished with a simple gold head Pheasant Tail Nymph,,,, I settled down in the smoother deeper water at the tail end of the pool and fed a few maggots every couple of minutes… and then cast in. I needn’t have worried as 4 fish in my first six casts soon gave me the confidence that my bait was down where it needed to be. Maggots did the trick on a size 12 Kamasan B560, 3lb hook length and my trusty old Abu 506 – I caught fish steadily for an hour…. including taking a break to sort out my friend Terry who accompanied me. Looking at the river in the picture below, you’d never believe that such a light rig would be effective. But believe me 3 x No4 shot which only adds up to 0.6 grams had the bait down doing the business where it needed to be. We only had time for an hour or so fishing and we ended up with 16 fish between us. A nice short sharp session on a cold Novembers day. My reward was plenty of these……. happy days. 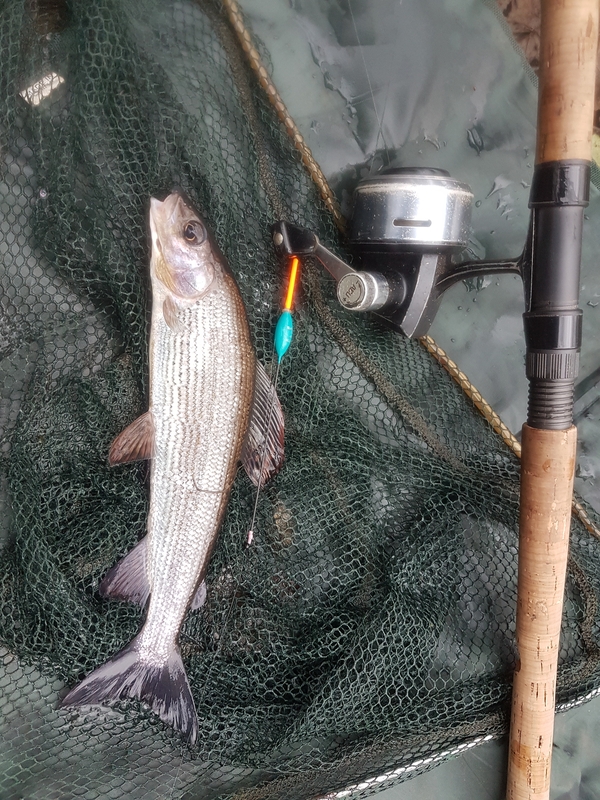 As I’ve said in my last few posts….. I’ve been doing a lot more fishing than blogging this year so I thought I’d share a bit more about how I’m getting on. Work and family commitments have put an end to the long undisturbed sessions of the past, and I’ve been having to take my kicks where I can. 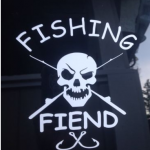 I’m driving round with a 7ft light spinning rod and reel loaded with 6lb braid in the back of the car and a lure box that looks like this – and with a ready rigged rod I’m ready to fish as soon as I park my car. 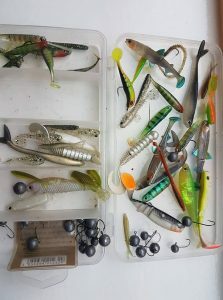 The lure tackle is a perma-fixture in the back of my car and enables me to stop off at venues for half an hour now and then to let my scratch my urge to go fishing. 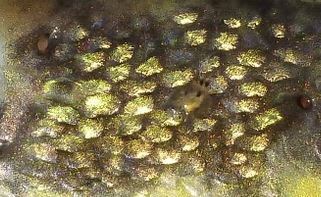 Most successful lure has to be this perch pattern in the picture below. I liked them at first sight in a tackle shop, and bought two packets. Sadly I’ve been using them up, and only have a few left,,,,,,and like the nitwit I am… I’ve forgotten who makes them. You can see from the picture that I also use two sizes of weight – 3 gram for canals, and 5 grams for bigger more open water. They are absolute perch nailers…. and the takes can be savage. I drove past a local canal marina earlier this week, and had 15 minutes to spare between meetings so out came the rod. I was fishing in an instant and was rewarded with some lovely perch from around the live-in boats where perch love to lurk. 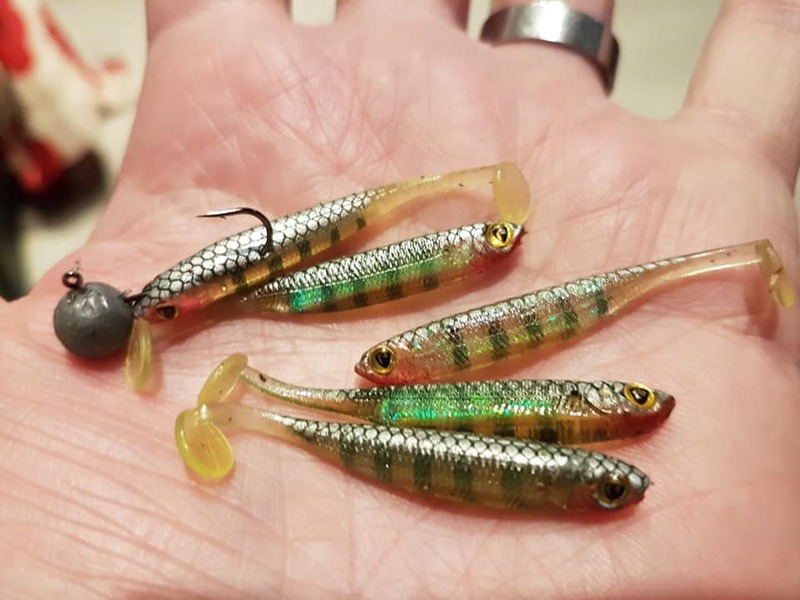 If anyone reading this knows the manufacturer of these lures can you please let me know in the comments section. I need to stock up!! I’ve been doing quite a lot of fishing over the last few months, but have been a bit slack with my blogging. 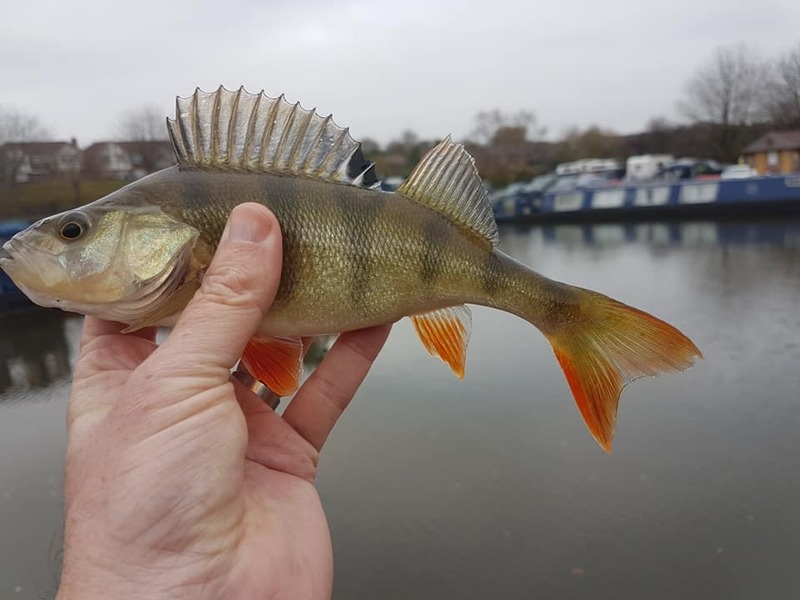 The perch fishing on my local lakes has been great so far this autumn, lots and lots of fish but nothing spectacularly big. I few days out with the kids bit bashing on local commercials such as Bradshaw Hall, and Sycamore Fisheries, and some carp fishing at Drinkwater Park Lake… I have the photos to prove it honestly – and will do some write ups over the winter months. However, I have a pal who needed a night out on the beach last night and I was happy to oblige with the driving. We arrived at 5 Bar Gate at Bispham just as low tide was turning into the flood, and walked up the beach towards Rossall. We found a spot where we could feel comfortable that the tide wasn’t going to come in a gully behind us in the dark without our realising, and set up a single rod each…. myself with a 2 hook flapper rig, and my pal Phil with the same but instead of loose hook lengths, his were to short wire booms. We both used 4 oz breakaway leads. I used a 14ft continental style beach caster, and a big fixed spool reel loaded with 30lb braid. Bait was frozen black lug from Bispham Angling shop. Using this set up, I can get a good 100+ yards with a simple overhead lob. And I was casting a good 120 yards as there was a stiff offshore breeze. It didn’t take long for the bites and fish to arrive, and we were catching Whiting, Doggies and a single Codling as the tide made its way up the beach. We fished until an hour after high tide and then packed up and made our way to the chippy for tea..
A good chin wag, setting the world to rights – I find beach fishing to be a very social experience as we can fish a rod each from a single tripod and chat all night long without fear of creating a disturbance. 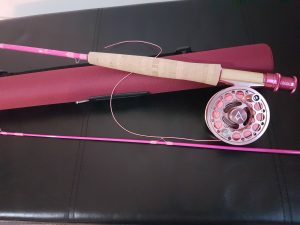 We had a great time, chatting about this and that, and as it was a cold clear night, we watched the constellations, the planes, satellites and shooting stars as we stared up at our rod tips. An interesting thing we noted was that all the bigger fish of the evening came near to low tide, and all the smaller fish at high tide and the hour after. We had some really good sized Whiting to begin with and they got smaller and smaller as the night wore on. The tides were quite small, only 7.3m – so we agreed to come back for another session later in the month when the moon fills, and the tides reach 9.3m. It will be interesting to see how the fishing compares from a big low to big high tide.